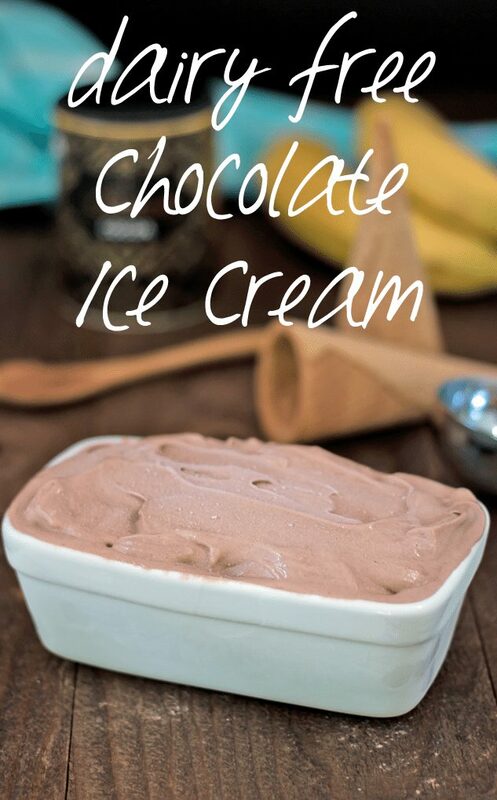 Ice cream doesn’t have to be “bad.” This no churn, dairy free chocolate ice cream is not only healthier ice cream, it’s so easy to make! 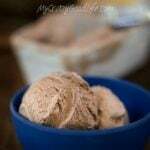 For this recipe, you’ll just need 4 ingredients–just like my Dairy Free Coffee Ice Cream recipe that you all loved so much. Note: You can omit the milk, but the final product will be a little less smooth and creamy. The bananas I used were super ripe, making them very sweet, so I didn’t need to use any extra sweetener. You might want to add a teaspoon of maple syrup if you’re using less ripe bananas or if you like your ice cream to be a little sweeter. Blend everything in a food processor until the frozen bananas are smooth and everything is well combined. Pour in a dish and allow it to freeze for another hour. This recipe serves two if you’re sharing. But it could easily be one serving. For the Weight Watchers plan this is 2 Smart Points for the full recipe. If you’re sharing that’s just 1 point for a tasty dessert! 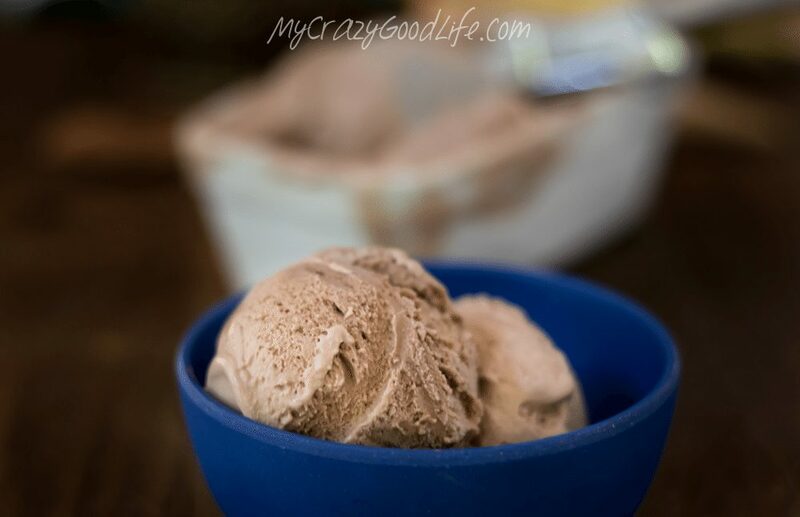 Ice cream doesn’t have to be “bad.” This dairy free, no churn chocolate ice cream is not only healthier ice cream, it’s so easy to make! You’ll just need 4 ingredients. This recipe serves two if you're sharing. But it could easily be one serving. For the Weight Watchers plan this is 2 Smart Points for the full recipe. If you're sharing that's just 1 point for a tasty dessert! I would love to try your ice cream recipes, I have children allergic to bananas. Is there another item I can try in its place? Have you tried avacado? Do you think it would work as a good substitute? Any ideas on how to adjust so I can make ice cream would be appreciated. What great recipes!!! So healthy, beautiful and fun. I’m inspired. Thank you!